Something completely different - a TT! 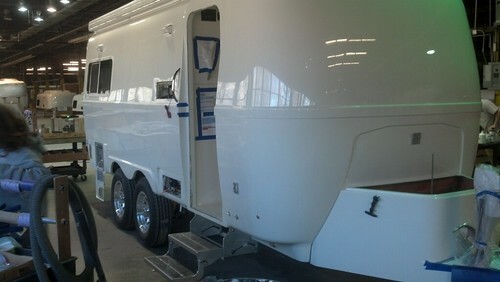 As some of you know, I use a huge fifth wheel travel trailer as my lodging for work on projects in remote locations. It's all fine and good when working in the South, but up North is another story. It's also rather unweildy to pull and almost impossible to keep warm in these cold winters. So I decided to buy a smaller, high quality and true 4 season travel trailer. So in my research, I found Oliver Travel Trailers. (http://www.olivertraveltrailers.com). 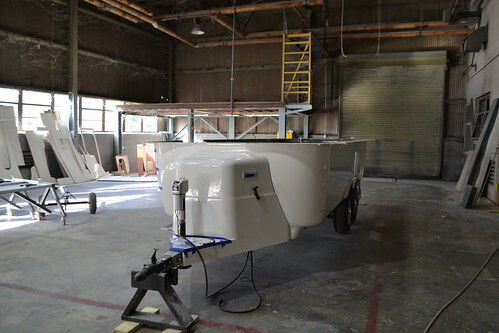 They are a small outfit in TN that makes these trailers and other high quality fiberglass parts (like step-in bathtubs). The Owner of the company at one time was a Casita enthusiast and wanted to build a better Casita. These are the Rolls Royce of fiberglass egg type trailers. I ordered Legacy Elite II (23.5') in a twin bed model with all the options including a 320 watt solar setup, 2500 watt Xantrax inverter, four 6volt AGM batteries, etc. All LED lighting, stainless fittings and a raft of high quality parts. 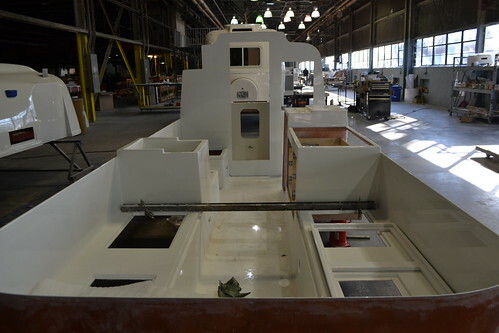 They are built like boats and use alot of marine parts in lieu of RV parts. We are in production now and I should take delivery in February. I'm very excited about the thing and it should make for more comfortable living on the job. These trailers are double wall molded fiberglass construction. 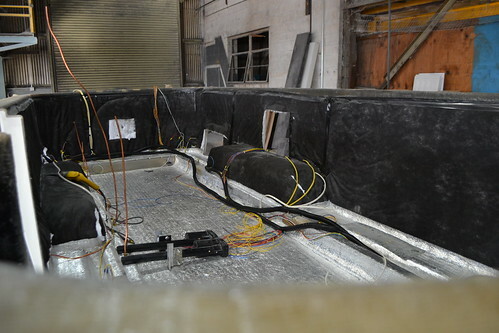 They normally have reflectix insulation adhered to both inner and outer hulls. We are prototyping adding some thinsulate product in addition to the reflectix. 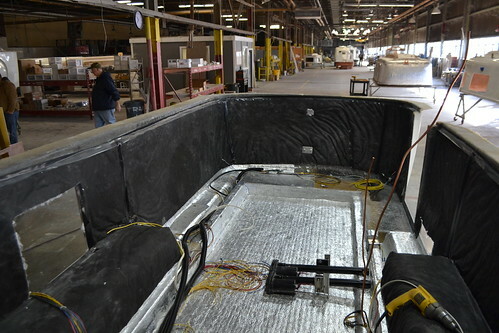 All the tankage, plumbing and equipment is placed between the hulls and is completely accessible from inside the trailer. You can supposedly replace tanks without cutting any fiberglass. Re: Something completely different - a TT! I'm impressed. I'd never seen an Oliver in Minnesota and looking at the distribution map of dealers I can see why. Interesting concept with a shell built in a bottom and top part. Great choice. The Legacy Elite II looks ideal. Small details like the placement of the stove shows they are thinking about maximizing the counter space for the purchaser. Often we see sinks or stoves plopped in the middle of the counter wasting space on all sides. Part of that I think is the entrepanuerial nature of the company. The owner is a rv'r and what he says is how they will do it. No committees or focus groups. Those are very nice. We had heard of them before our last trip, when we were near there, but were interested in the discontinued small trailer so didn't pursue it. Wish we had, it would have been a good place to visit. The site isn't listing any specs on the smaller trailer yet, any idea how much they weigh? The larger one is heavy, I would guess over 5000# in use mode, 7000# max. It is nice to see the attention to getting the structural strength built in to shell so well, and serving double duty as cabinets, shelves, benches, counters, etc. Tongue Weight (approximate) 420 lbs. Tow Weight (approximate) 4,200 lbs. Fresh Water Tank Capacity 32.5 gal. Grey Water Tank Capacity 35.5 gal. Black Water Tank Capacity 18.5 gal. 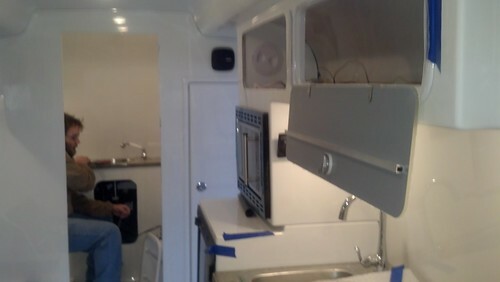 Shell complete, major appliances in, countertops in, windows in. Happy surprise the high neck faucet. 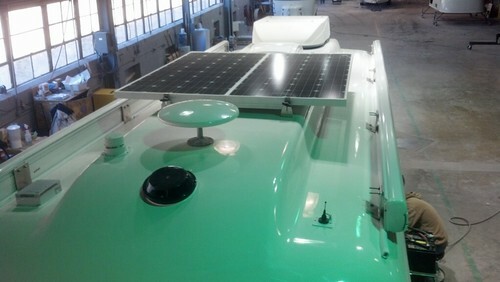 Solar, TV antenna and both awnings! How much would that cost fully loaded like yours? I don't mean to pry - maybe just give a ballpark figure or a price range. What?! That's not a gauche, over-the-line question only an a-hole would ask? Kidding! I have no qualms about sharing information. I think it's a good value considering the quality of the components. For comparison, Escape is a similar sized trailer made in Canada that is considered the next best in quality (yet has no inner liner) and they are around $40k with the features of the base Oliver. You can't get the other options from them. I won't hide the fact that they (Oliver) are pricey for a trailer. The base price is $41,000. I got almost all the options - 320w solar, 2000 watt Xantrax inverter, extra batteries (Four Trojan 6v AGMs), wifi ranger, 4G cell booster, powered Tv antenna, bigger LP tanks, upgraded mattress, granite countertops, extra reading lights, auxiliary generator hookup, arctic insulation package and an additional awning. My final price was $50,262 excluding sales tax. You also get to select all your fabric, flooring, awning and exterior striping colors. You can even provide them your own fabric and they'll make the cushions for you. 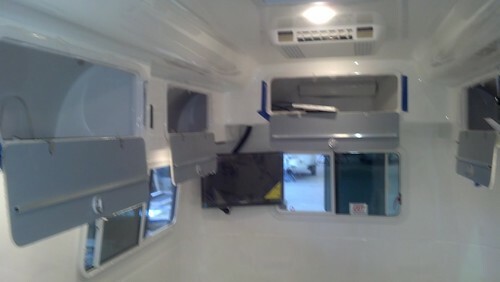 The base trailer comes with dual pane windows, air conditioning, stainless appliances, aluminum wheels, automatic leveling system, window shades, LED TV and stereo,microwave, battery slide out tray with one 12v battery, and awning amongst other things. It's pretty well equipped as base for a trailer.